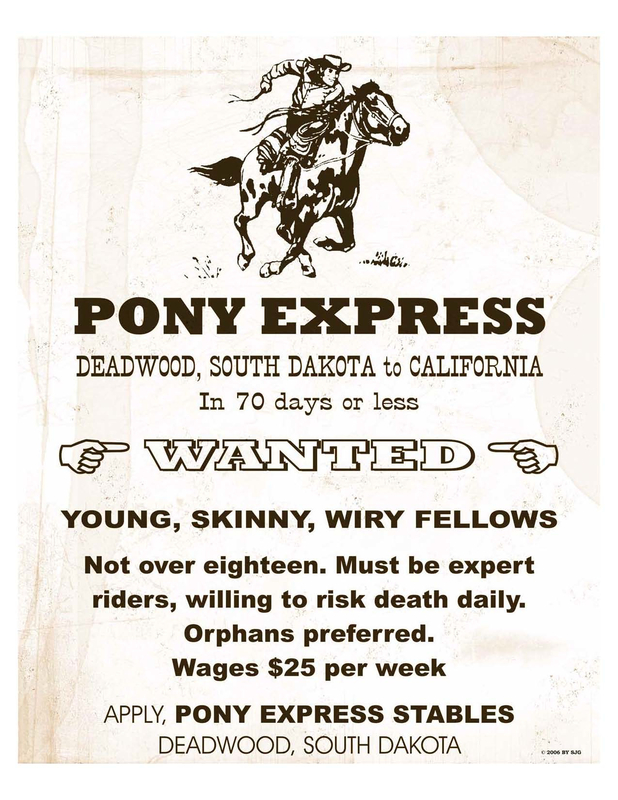 On this day, in 1860, the Pony Express debuted. Traveling by horse, the first mail carriers left Missouri and California, simultaneously. Ten days later the westbound letters arrived in Sacramento (two days before the eastbound pony), setting a new standard of mail delivery. Sadly, this system of letter swapping was short-lived. William “Buffalo Bill” Cody was one of the famous riders. Oh, how I wish he was still delivering my mail on horseback! I am delighted you gentlemen came up with this ingenious idea of delivering letters. It’s hard for me to imagine a time before radios and telephones, but I can bet your services were much appreciated. I’m guessing people were thrilled to see your riders (maybe mini-celebrities), galloping into town with news from afar. And hats off to them—I can’t imagine carrying twenty pounds of letters, or navigating the treacherous wild west! Thanks for your contribution to letters!